A report has been released in parliament demonstrating how the UK could cancel its plans to re-new Trident without massive job losses. The report, Defence Diversification: International learning for Trident jobs, was released at an event hosted in Westminster by Parliamentarians for Nuclear Non-Proliferation and Disarmament member and Labour MP Fabian Hamilton. Examining defence diversification and conversion projects around the world, the report concludes that the work skills, jobs, technology and infrastructure of the nuclear weapons industry could be converted or transferred to other sectors of the economy, providing a net benefit to the UK. The research and report were commissioned by the Nuclear Education Trust and is excellent news for all those who believe in a nuclear free future. 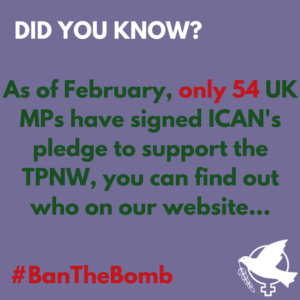 Want to know whether your MP has signed ICAN’s parliamentary pledge in support of the Treaty for the Prohibition of Nuclear Weapons? You can find out here. 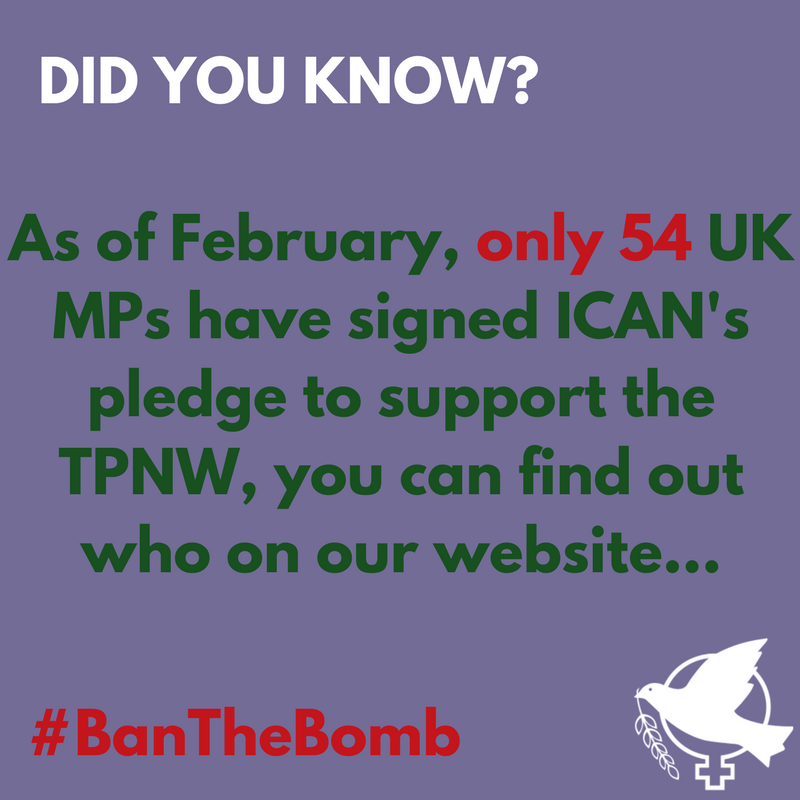 You can also find out more about our Nuclear Ban Treaty campaign too here.